Laura was born and raised a Minnesota girl, through and through. Nathan spent his childhood in India, Canada, Germany and Minnesota. His father's career as a trade diplomat took them all over the world. Nathan eventually became a US citizen and permanently made Minnesota his home. Through all of life's adventures, heartbreaks, successes and failures, the broken road finally led us both to one another. We first connected online in July 2011. Nathan emailed Laura and after a few lengthy messages back and forth, it was obvious that there was a lot of shared interests and values between us. We had mutual friends through our previous work in politics and found it ironic how we hadn't previously crossed paths when there had been so many opportunities to do so... There is timing in everything! Before we could officially go on our first date, Nathan had to head to Canada for his cousin's wedding, which delayed our first date by almost two weeks. After days of trading texts and emails seemingly non-stop, it was pretty apparent that there was a spark! Our first date was supposed to be on a Thursday evening, but Laura suggested that they push it off to Friday night. Almost two weeks of conversations and texts, running on little sleep during the week and it was pretty obvious that this First Date wasn't going to be any ordinary date.... We went to dinner at Amore Victoria and then for a drink on the beautiful rooftop of Stella's in Uptown. It was such a perfect evening, that we decided to walk toward Lake Calhoun for a midnight stroll. After skipping rocks and talking for hours about anything and everything, it was almost 5am before we finally called it a night. But before we parted ways, Nathan asked Laura for a kiss. Lit by the moonlight, it was the perfect end to a perfect night. And just the beginning of our love story! 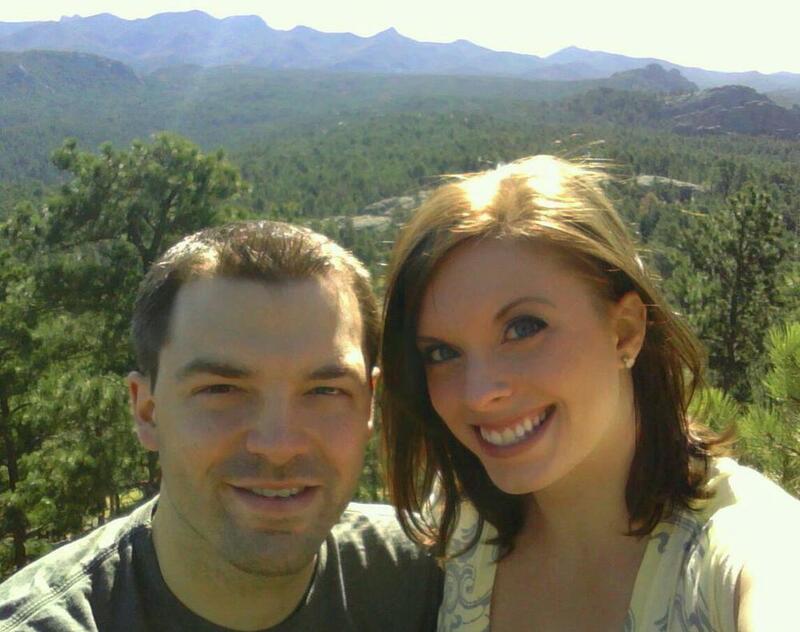 On our 3 year dating anniversary, we planned to go visit the St. Croix River Valley, one of Laura's favorite places. Nathan had been secretly ring shopping for months and it all came down to this weekend, dubbed "Operation Oathstone". We visited a brand new winery that Laura had been excited to try and then went to check in to our bed and breakfast... but we were early! So instead, we detoured to a nearby waterfall that Laura had read about (Laura has an obsession with waterfalls) and went exploring. It was a beautiful, sunny day and there was a good crowd of people there taking photos and wading in the water. There was a little cove behind the waterfall and Laura went to check it out. It was SO beautiful, and Laura told Nathan to come check it out. As Laura was exploring, Nathan tapped her on the shoulder and turned her around.... and he was holding the most beautiful engagement ring! As Nathan asked Laura to marry him (and he explained why he couldn't get down on one knee in the rocky, wet cove), all Laura could think to say was... "Really?!?!" Shaking with happy tears, Laura finally gave him a big "YES!!!" and a kiss! As we looked around, all of the people who had previously been at the waterfall had disappeared.... once again, we had our own perfect moment, undisturbed in the usually busy spot. It was just us in our own little world. Nathan then showed Laura how he had to transport the ring, because a ring box would have been far too obvious with his cargo shorts. 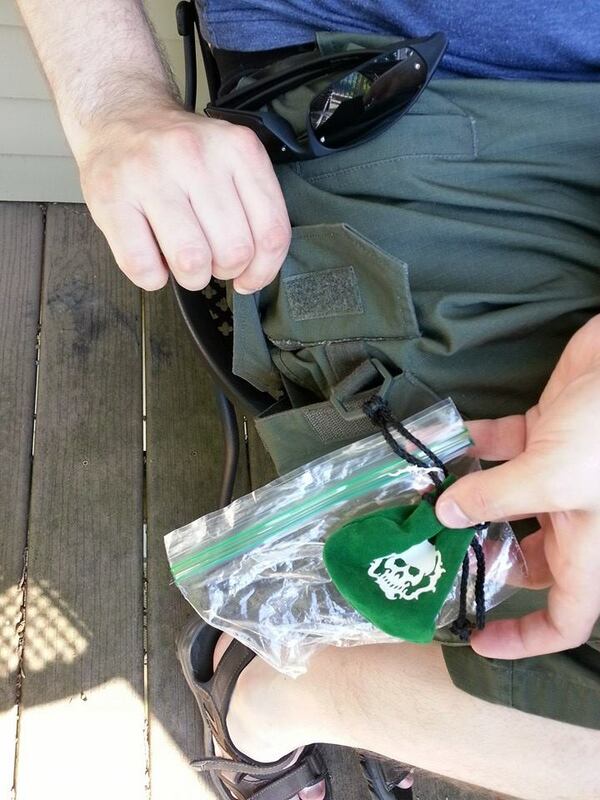 He had placed the ring inside a plastic baggie, placed the baggie inside a velvet dice pouch and used a twist tie to secure the bags inside of his cargo shorts!! He had struggled to get the ring out of his pocket without Laura noticing... thankfully it didn't fly off into the waterfall! We got to share our happy news from our private balcony, overlooking the St. Croix River. The bottle of wine we had purchased at the winery was the perfect way to celebrate as we Skyped with family and friends. We made a spontaneous reservation for dinner at our bed and breakfast, where the chef/owner prepared some of the best food we have EVER had. We were married on May 15, 2015 (5-15-15 at 5pm.... no, not planned that way, we swear!). 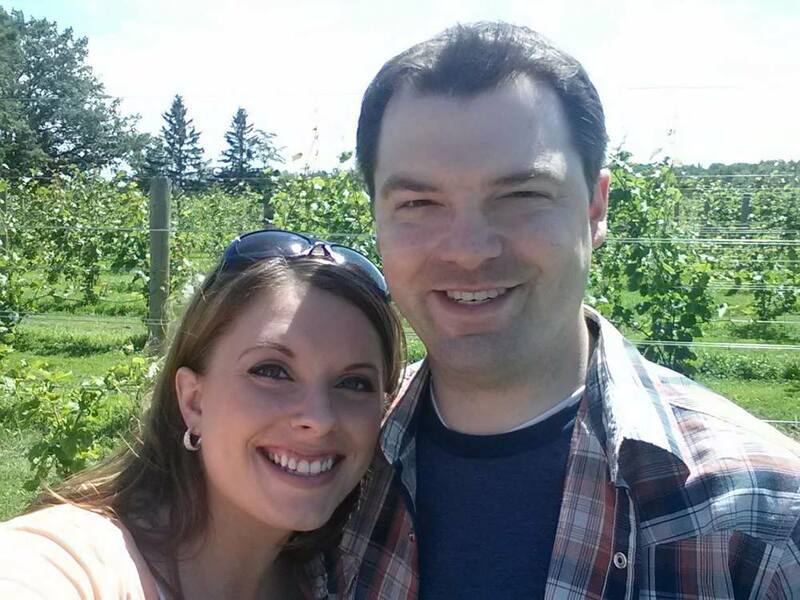 We chose the Minnesota Harvest Apple Orchard in Jordan, MN for our ceremony + reception. 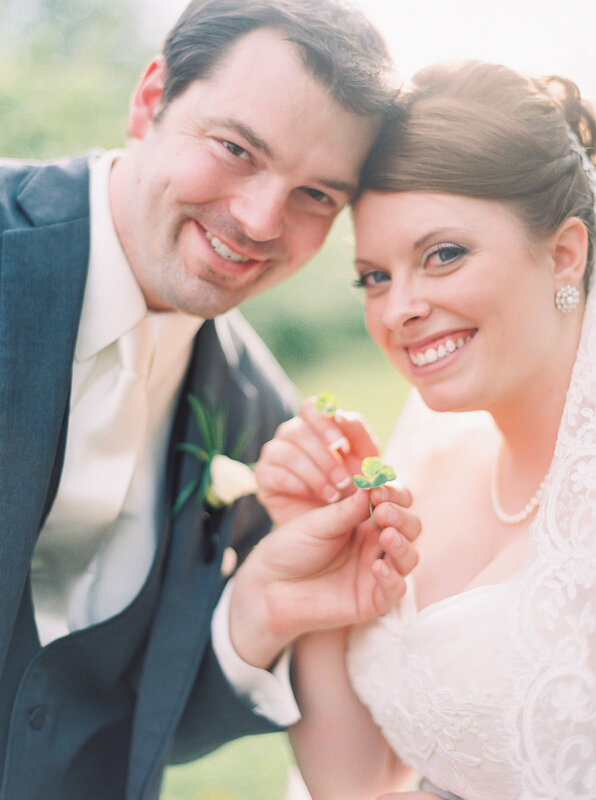 Our own photographer was the incredibly talented Julie Paisley Photography out of Nashville. We also brought in award-winning videographer, Brad Rich, of A B Rich films, based here in Minnesota. It was a perfect day and we'll never forget it, thanks to our amazing team of vendors! We have a new little addition to our family! Say hello to Baby Lily! Lillian Grace Robinson was born on June 13, 2017, weighing in at 8lb 12oz, 20 in long. She is named after Nathan's beloved grandmother Lillian Marjorie and also Laura's great-grandmother, Elsie Lillian. We've been busy adjusting to parenthood, and couldn't possibly be more in love with this little snuggly human.